Avail of our very special price for HIFU (High Intensity Focused Ultrasound) for Face Rejuvenation! Achieve your desired V-Shaped face with our special combination Cheek and Under Chin HIFU + Meso Fat Injection for the jowl area. This promotion is VALID until June 30, 2018 only! 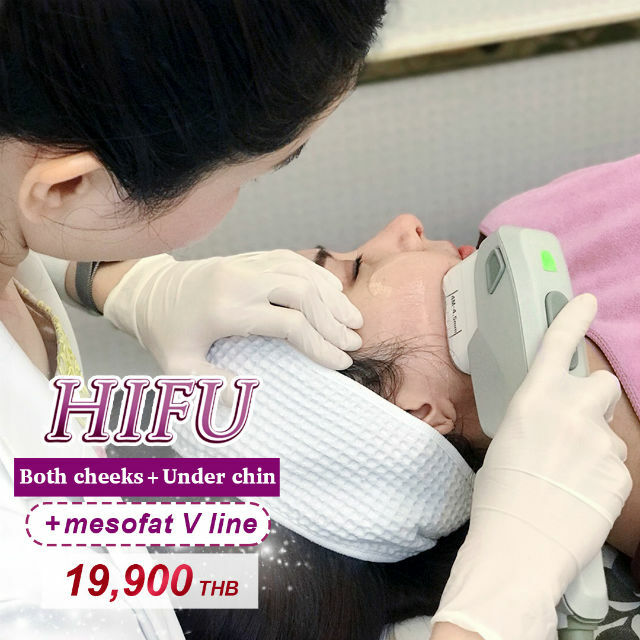 Normal treatment price is 25,900 THB for the cheek and underchin HIFU and 5,000 THB for Meso Fat Injection.